I think there must be a place where some inconsiderate people are born in a barn and raised by monkeys without manners or consideration of our great country. 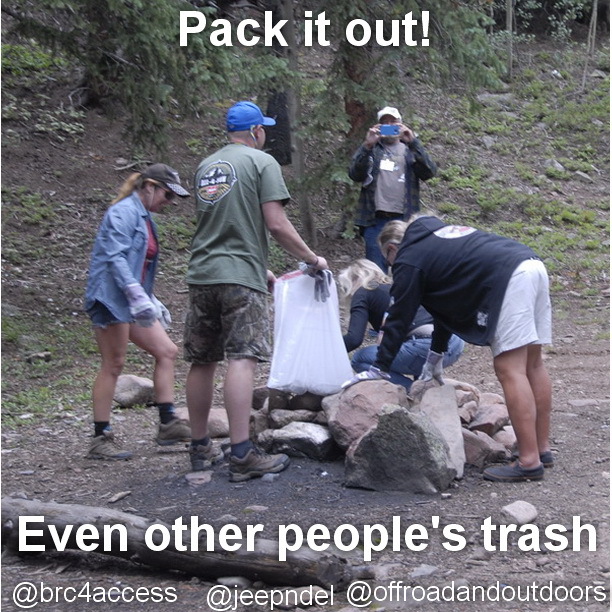 Thank goodness for clubs like the Mile-Hi Jeep Club and their famous event All-4-Fun in Colorado every year where good stewards like Matt Hiller and Cory Moul lead land use clean up runs every day of the event. (snown in pic above). 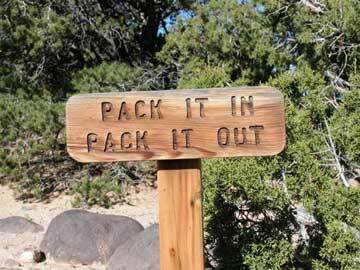 Every off-pavement recreation group advocates taking care of our public lands and waterways; and packing out your trash (and sometimes even your human waste). Unfortunately the idiot behavior of some of our fellow humans does not get this message and we must clean up after them like the children they are. More often than not, I am cleaning up after people who are not even motorized recreationists; they are just tourists or visitors with sloppy life habits.